Although most gemstones are minerals, gemologists include pearls and other organic materials such as amber, coral, ivory, and jet in their lists of precious gems. Pearls can be found in saltwater mollusks of the genus Pinctada or a few freshwater mollusks belonging to the family Unionidae. It is generally believed that the Pearl originates in elephants, clouds, boars, conch-shells, fish, serpents, oysters and bamboos—of which oysters have the largest share in their production…Those Pearls that are found in the heads of elephants and snakes, are rarely to be had except by devout austerities; at present good Pearls are obtained from bamboos, oysters and conch-shells. Pliny went on to say that the quality and size of the pearls were affected by atmospheric conditions. 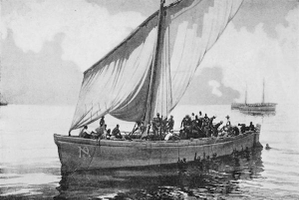 “It is quite evident that the quality of the pearl depends much more upon a calm state of the heavens than of the sea, and hence it is that it contracts a cloudy hue, or a limpid appearance, according to the degree of serenity of the sky in the morning.” According to Pliny, lightning and thunder frightened the animal and spoiled the incipient pearl. Today we know that natural pearls are formed when a foreign object is trapped in the shell of a mollusk. In order to protect itself, the mollusk isolates the foreign article by covering it with nacre, the same substance that coats the animal’s shell. 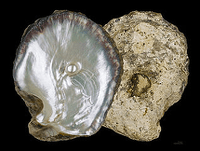 Layers and layers of nacre ultimately form a pearl. 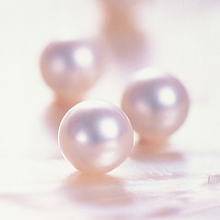 When pearls are cultured, or man-made, a tiny bead or piece of tissue is purposely inserted into the shell of the mollusk to start the process pearl formation.